Location: Kambaku Safari Lodge, Timbavati Private Nature Reserve, South Africa. In 2011 I began leading Art Safaris for Africa Geographic in South Africa. The safaris are suitable for all skill levels and are designed to teach guests how to sketch wildlife quickly and confidently. 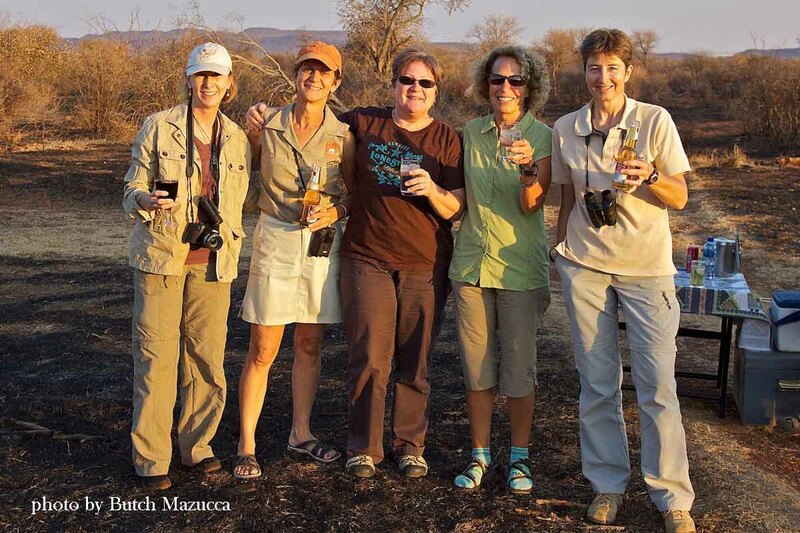 We have a maximum of 6 guests on each safari. Non-sketching friends or partners are very welcome. On an Art Safari, much of our sketching is done from an open safari vehicle, giving guests unrestricted views of the numerous wildlife species. I sit in the middle row of seats, so I can easily communicate with everyone during drives. Game drives take place in the early morning and late afternoon, optimal times for seeing wildlife and sketching in good light. Drives last approximately two and a half to three hours but we stop for refreshments midway. During the middle of the day guests can relax and take a dip in the pool, or take part in an art workshop. The workshops can cover a number of topics including how to add watercolor to pencil sketches or how to use your sketches as the basis for studio paintings. The workshops are very friendly and informal and everyone works at their own pace. Kambaku Safari Lodge is an owner-run lodge that provides a unique personal service and relaxing atmosphere for visitors to absorb the space, sights, sounds and feelings that only the African bush can offer. On our Art Safari, we will have exclusive use of our own private vehicle for all game drives and activities. The eight thatched chalets at Kambaku accommodate only 16 guests and provide for an intimate safari experience. The chalets and Main lodge all overlook a private waterhole where constant wildlife activity can be observed. 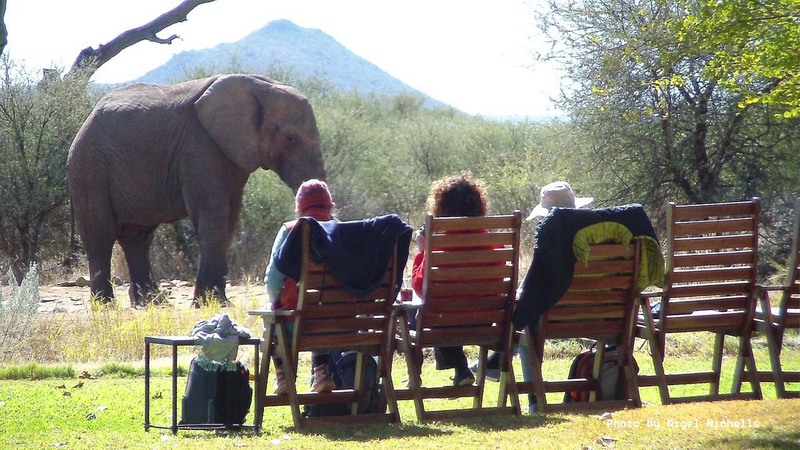 This is ideal for daytime workshops during the Art Safari, but guests can also enjoy the waterhole from the privacy of their chalet or from the main lodge area. The managers have put their experience and special flair for wilderness cooking to good use, so be prepared for some scrumptious bush cuisine and delicious meals served in relaxed and rustic settings. Environmental consciousness is a high priority and as such the use of solar power and gas, with only minimal electricity aims at minimizing the environmental footprint created by the lodge. Kruger in August enjoys its spring climate which is the height of the dry season, perfect for game viewing. Temperatures at this time range from 12°C – 28°C. Booking and payment details: Once you have decided to join an Art Safari, you will need to contact Africa Geographic for a booking form. Reservations can only be confirmed by the completion of a booking form and the receipt of a deposit. As our groups are small they can fill up quickly. Please email Christian Boix on travel@africageographic.com for details or telephone: +27 (0)21 762 4974. Africa Geographic handle all reservations and payments, and will be delighted to help you with any other travel arrangements you may require in Africa. They can also arrange private, custom Art Safaris. Our safaris are small and can fill up very quickly, so if you are interested in a future Art Safari, please let me know. I can then ensure that you, along with other interested guests, receive future itineraries before they are made available to the public on my website.